The UHF-band for television is the frequency spectrum between 300 to 1000 MHz. UHF covers over the air channels 14 (470MHz) to 69 (806 MHz) and analog cable TV channels 37(300 MHz) to 158 (1002 MHz). Digital Cable TV channels do not follow the standard analog channel allocation. The B band is an uncommon frequency allocation term for the US market. B-band is a term used by the European Union, NATO and the US ECM for the frequency range from 250 to 500 MHz. The US FCC frequency allocation for this range is VHF (30 to 300 MHZ) and UHF (300 to 1000 MHz). B-band crosses over with part of the VHF and UHF bands. DIRECTV uses two 500 MHZ wide bands of spectrum as an intermediate frequency (IF) to transfer Ka band signals from the Dish/LNB's to their receivers. They call these bands the A-band (1650-2150 MHz) and B-band (250-750 MHz). 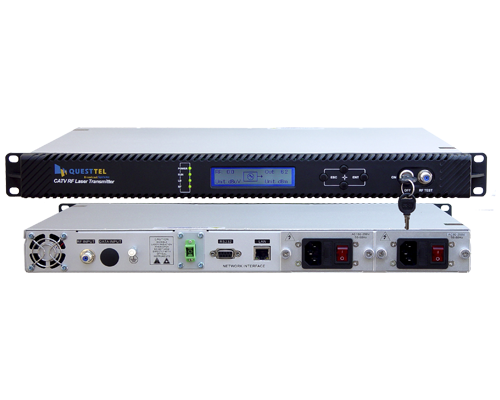 DIRECTV use B-band converters for reception of HDTV programming. 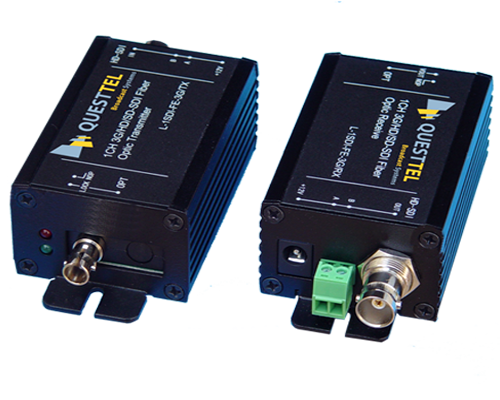 More information on DIRECTV B-band Converters. C band satellite systems use a 6 to 12 foot dish for reception of television and data transmissions. C-band covers from 3.7 to 8 GHz, however the frequency range for satellite television is from 3.7 to 4.2 GHz. Used mostly for commercial satellite television transmissions, C-band is becoming less of a residential option. K band is the frequency range from 18 to 27 GHz. Ka-band is the newest satellite broadcast band. Ranging from 27 GHz to 40 GHz. Ka-band is used by Wildblue and DIRECTV. Wildblue uses Ka-band for delivering of satellite broadband and DIRECTV uses Ka-band to supplement their existing Ku band channel capacity. DIRECTV plans to use two sections of Ka bandwidth. 18.3 - 18.8 GHZ and another 500 MHz band at 19.7 to 20.2. Wildblue uses 19.7 to 20.2 GHz for the signal sent to the Wildblue customers dish (User Downlink) and 29.5 to 30.0 GHz for sending signal out to the satellite from the users dish (Users Uplink). Go here for more information on Wildblue Satellite Internet frequency allocations. Part of the Ku-band spectrum used for Fixed Satellite Service. Virtually every dish in the 1 meter to 1.7 meter size is used for FSS band reception. FSS satellites can be spaced 2 degrees apart, which limits their maximum power output to avoid adjacent satellite interference. Today the FSS band is used by Hughesnet ,and Starband for satellite internet. Free-To-Air (FTA) satellite systems also use the FSS band. 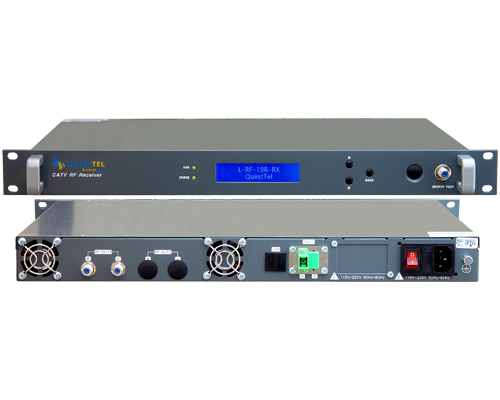 The FSS band is also used for transmitting television shows, back haul feeds for remote news broadcast and many more companies for various data/video transmissions. The Broadcast Satellite sub-band of the Ku-band is commonly called the DBS band. The D in DBS is sometimes called Digital, and others will say it means Direct. Some consider this band to be called the BSS band for Business Satellite Service. That is not correct. BSS is a term used to describe a type of service and not the actually band of frequencies used to deliver that service. We will call this the DBS Band because we like DBS, no other reason. The DBS band is reserved for high powered satellites intended for the delivery of digital television. DIRECTV and DISH Network are DBS Satellite system providers. DBS Satellites are spaced 9 degrees apart. The wide spacing of DBS satellites allow for very high powered transmissions which results in the ability to use a small 18" dish.